In the summertime, it’s important to get the tickets well ahead of time. I visited my local installation tickets and tours office at the Air Force Academy and received discounted tickets about 4 weeks in advance. I also made sure to secure nearby hotel reservations. On a whim I made the family a reservation at a cowboy supper show for fun. I’ll write about the Bar D after this post. 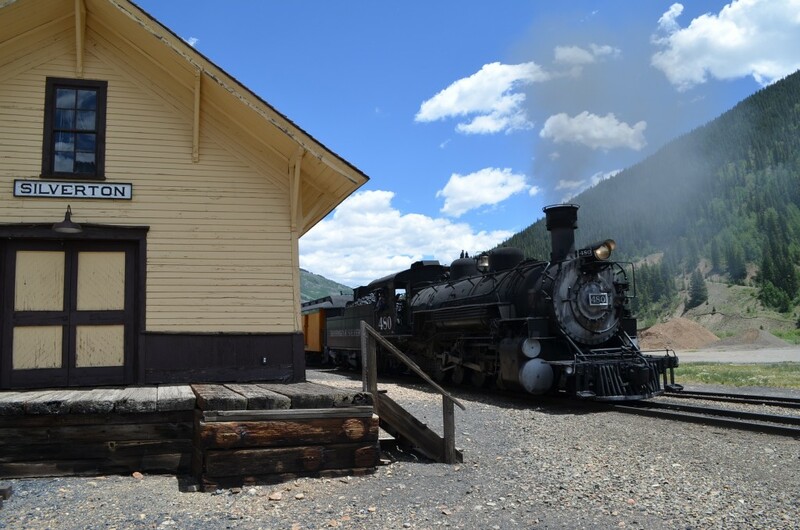 There are a variety of ticket options: starting in Durango, you could take the train the entire trip to Silverton and back, or you can take a bus in one direction and the train in the other. We paid 10% less for our tickets by getting them through military ticketing. We opted for the full trip on the train, since it would have been an extra $45 to add a bus option. After all, we were dedicating the entire day to the train. At the time I made the reservation, it didn’t seem so bad. Expect to pay $80-95 per adult for standard (open air car) class, and $50-65 per child. Additional classes are available, with prices up to $189 per person. The option also exists to add on an adventure package. The one that caught my attention was the zipline adventure. The train — on which you will ride in a private car just for Soaring customers — will drop you off at the Soaring Tree Top Adventures Center instead of Silverton. While the train proceeds to and returns from Silverton (about 5 hours), you can enjoy a zipline tour unlike any other and a four-course gourmet lunch. This option is $479 per person. There are also 4×4 tours, rafting trips, and horseback riding adventures you can add on with the train ride. We only opted for the standard class all-day ride. We took a gamble with the weather and took the open air car option, and we were lucky enough to have very beautiful weather for the day of our ride. The trains leave pretty early (ours was at 8:45am), so be sure to allow plenty of time for parking and getting on the train. Waiting to embark on our train adventure. 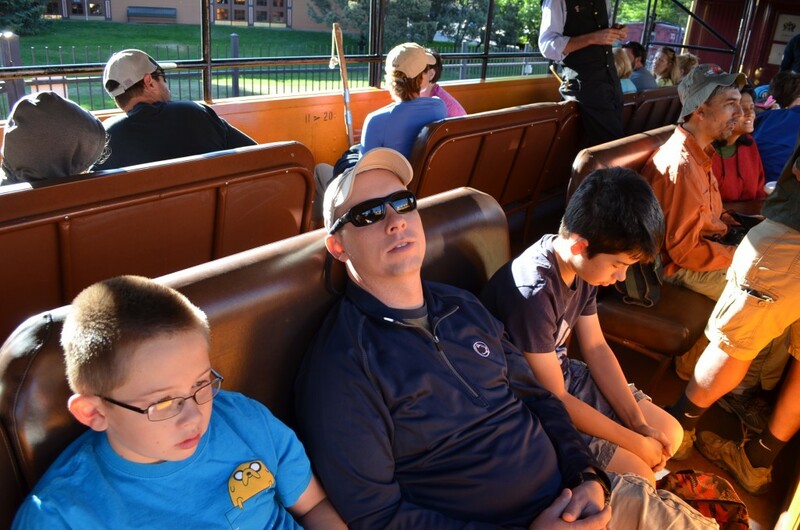 We were in an open-air car on seats that remind me of school bus bench seats. I’ll say it right now: this is a very long train ride. We spent 3 1/2 hours on the train in each direction, with just over 2 hours in Silverton for a nice lunch and window shopping. 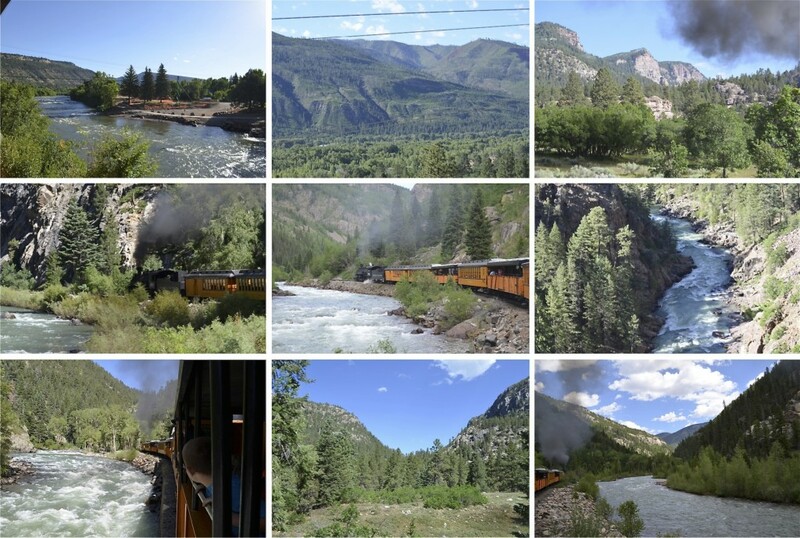 The scenery was stunning for the 45 mile journey, with amazing gorges and rapids on the Animas River to keep me in awe. What’s cool about the train is that it takes you through parts of Colorado that cannot be accessed by automobile. Many hikers were on the train to be dropped off at the Colorado Trail trailhead. 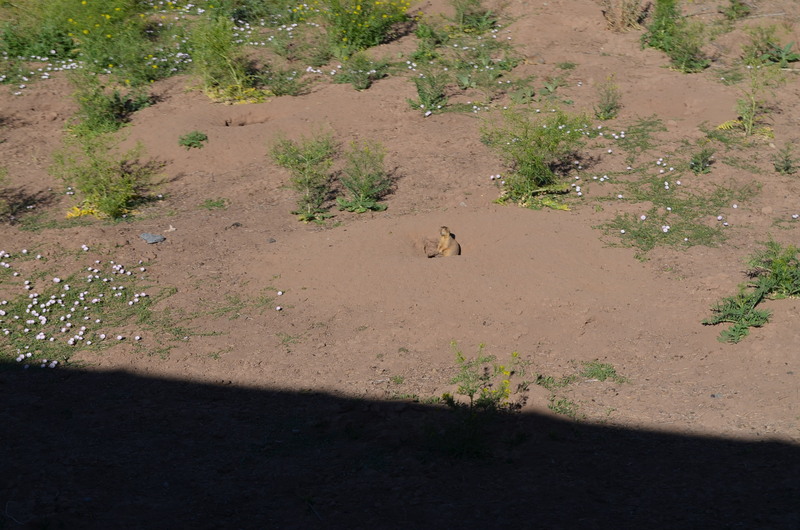 We enjoyed 1-2 miles of prairie dog towns on the way out of Durango. 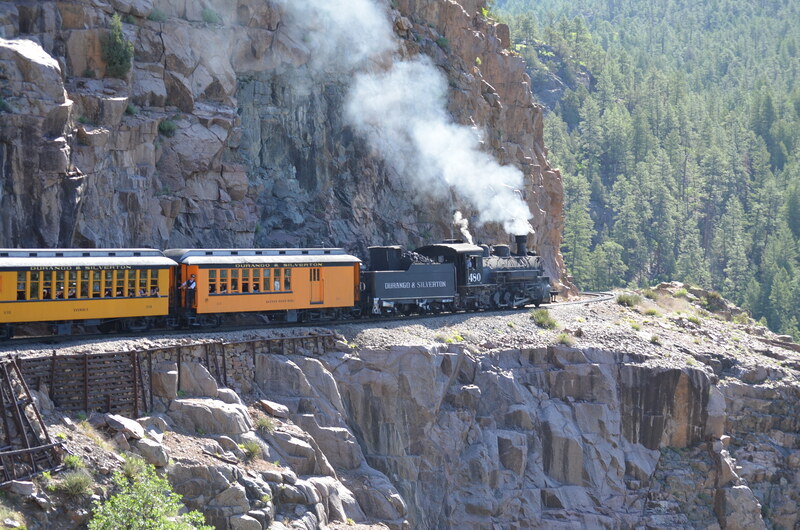 Once you come out of Durango, the train begins to climb…and climb…and climb. The scenery changes dramatically several times, and it’s beautiful the entire way. Scenes from our northbound journey. Three and a half hours later, the train pulled right into “downtown” Silverton, Colorado. We stop for just over two hours and can enjoy a nice lunch and check out the town. We ate at a restaurant called “Thee Pits Again“, which serves barbeque and has been featured on the Food Network show “Diners, Drive Ins, and Dives”. Our lunch spot. It was quick and yummy. 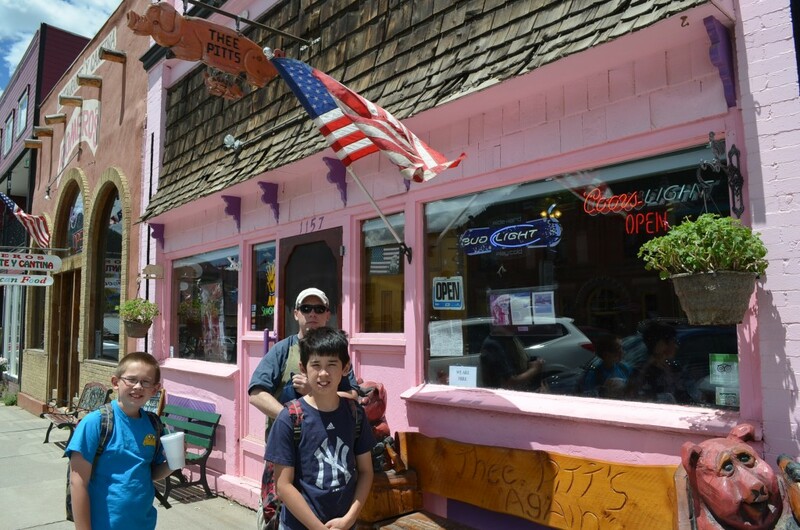 We found the small Durango and Silverton museum after lunch and walked through the town to visit it. Silverton is a pretty small town, and I got the feeling much of its economy is dependent on the railroad tourism. We saw the locomotives maneuvering around the rail yard near the old historic Silverton station. There is a small museum inside the station, and several old rail cars on display outside. Ubiquitous family photo in front of a locomotive. Before long, it was time to board the train and start our L-O-N-G trip back to Durango. Since we were essentially seeing everything in reverse (perhaps with different sun angles), we ended up not paying as much attention to the scenery, instead talking to other visitors on the train. 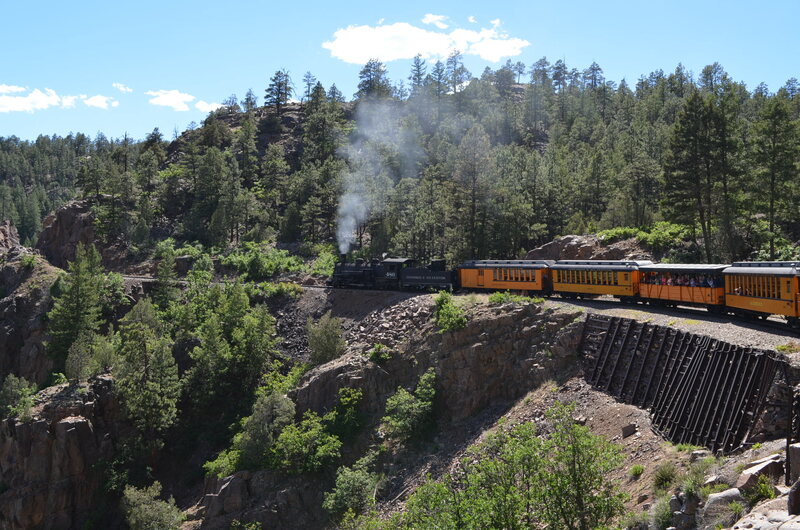 We met a gentleman from India who is really into trains: he was visiting his brother who lives in the U.S. and they were traveling throughout the west riding trains: the Cumbres and Toltec and Grand Canyon Railroads were also on his itinerary. The lighting is a bit different for the southbound trip. I like this photo because you can see that cool rock cut on the left side. We returned to the station by dinnertime. We had reservations at the Bar D Chuck Wagon Supper show that night, which is for another post…. 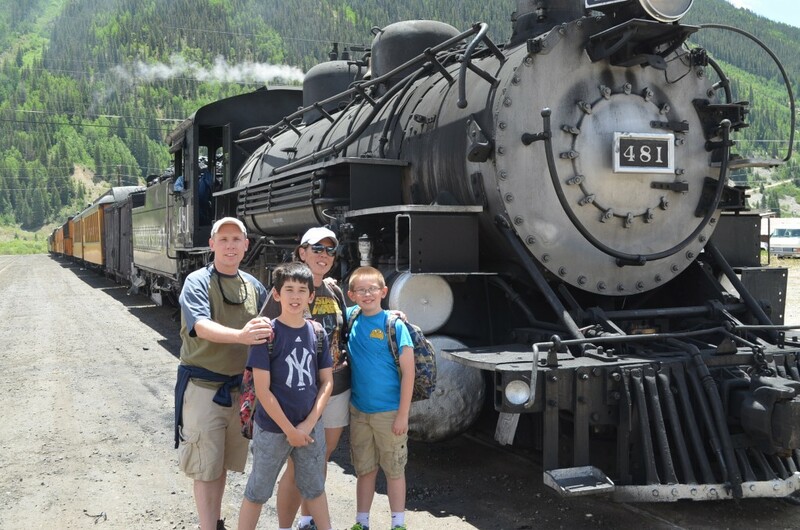 The Durango and Silverton Narrow Gauge Railroad operates out of downtown Durango, Colorado. Their regular schedule operates between early May and late October, with Polar Express excursions between late November and early January. Regularly scheduled excursions will cost between $70-189 per person and can be booked through their website. I highly recommend the one-direction trips, where you can take a bus in one direction, and the train in the other…especially if you are traveling with children and elderly. High adventure add-ons are also available, such as rafting, 4-wheeling, zip-lining, and horseback riding.